Somewhere, “witch hazel free” started to appear on certain skin care products. Its one of those statements that makes you think why would anyone care if something was witch hazel free? Is this a marketing ploy or is there a genuine concern about witch hazel? Witch Hazel is made from the steam distillation of bark and leaves from the North American shrub tree Hammamelis virginiana and also can be further refined into an essential oil. Most of today’s uses don’t include the essential oil but rather the initial extract of the shrub. One of the primary claims for this extract is its astringency, or ability to remove dirt and oils, especially from the face. 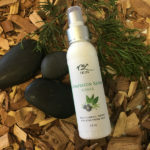 Witch hazel has a high concentration of tannins responsible for this property of the extract, and it proves to be an excellent astringent compound. It is so much more than a astringent, though. For one, it is a powerful anti-oxidant and acts to soothe the skin. This is why one finds witch hazel in acne skin care products as well. Inflammation is part and parcel to the acne breakout mechanism and adding something like witch hazel helps to mediate part of the problem. It also possesses some anti-bacterial properties that will aid in the reduction of acne. 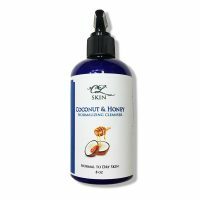 For acne we have an all natural extract that cleans the skin, soothes the skin, and helps reduce the inflammation of the skin, no wonder its in so many products. 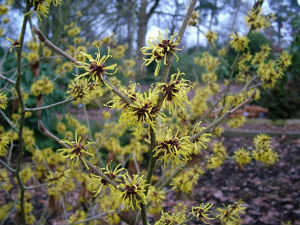 Interestingly, witch hazel can reduce water loss from the skin and encourage new cellular activity of your skin. This is why your skin feels so refreshed after use. It soothes and preserves the water in your skin, making it a great choice for astringents. 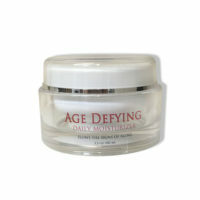 One of the most effective properties is its anti-oxidant ability. This is in relation to molecular content of tannins and gallates, known free radical scavangers. Free radicals are one of the species responsible for damaging the skin and adding that ageing look to it. This natural material interferes with the free radicals caused by sun and nature and helps to prevent this damage to the skin. Additionally, these type of a components will also help maintain the skin’s natural antioxidants present in the skin from being depleted. Its this attack and preservation nature of witch hazel which makes it’s a desirable ingredient when a product needs to sooth and prevent inflammation. We started out with a question about witch hazel, and we can conclude that witch hazel is a good product and ingredient in many applications. Its bad name may not come from but the other ingredients in many witch hazel astringent products. In these products it is typically mixed with alcohol which is know to dry the skin. By itself witch hazel is good but maybe combined with alcohol it produces the undesired affect of dry skin. Just remember don’t judge every book by its cover. 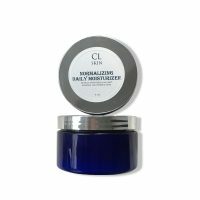 If you have oily or combination skin CL recommends our Complexion Repair Moisturizer, after toning with out witch hazel toner.